Marketing and promotion of the East Peak To create a new identity unifying the East Peak area as a brand, providing enhanced marketing and added value to local products and events. Access to and development of the countryside, tourism, culture and heritage To make the culture, heritage and natural landscape of the East Peak more accessible to both local people and visitors. Support and development of the local rural economy To support existing services and develop new solutions in rural communities. Adding value to environment and landscape Ensuring a quality, well-managed, natural environment linked to communities. If you or your group has identified a need and has a project idea that meets one or more of EPIP’s priorities, we may be able to help you to develop it into a viable project. 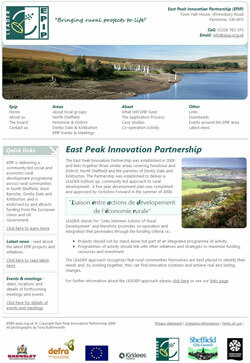 East Peak Innovation Partnership were a new organisation aiming to provide useful information, downloads and news over the internet through a brochure website and following this brief, we created a proposal outlining our recommendations. We planned, designed and built a very well search engine optimised website around a clear navigational structure driven by an easy-to-use content-management-system in the backend. The website indexes excellently on all search engines providing a clear and accessible information resource. 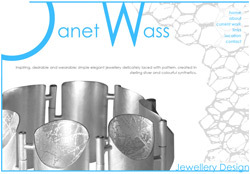 “We have had nothing but good feedback for our website created by Seven Creative. Chris greatly assisted us in the design, colour scheme and layout of the website and kept in close contact with us throughout the process. They created exactly what we were looking for with very little input from us. Since then, if we have had any IT related problems, a quick phone call is all that was needed to get it solved.